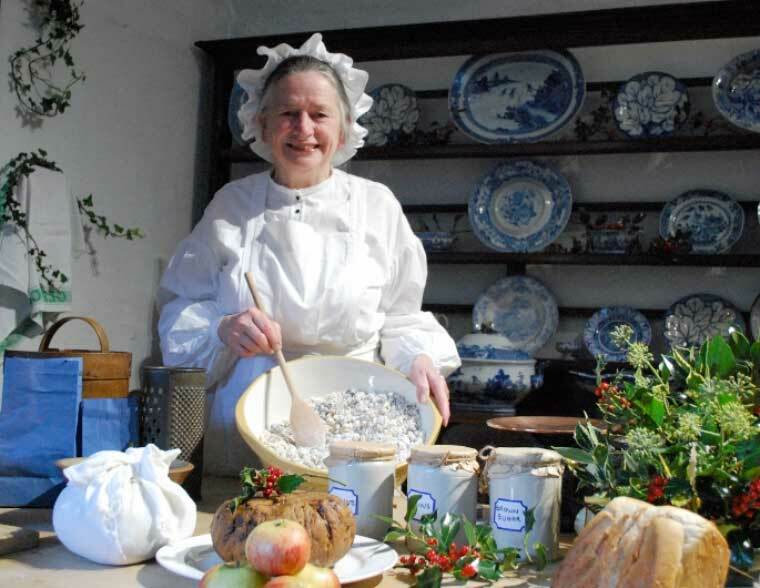 The Victorian kitchen at the Priest’s House Museum & Garden in Wimborne will be serving up Christmas pudding on Saturday 10 December from 10am to 4pm. Visitors are invited to take part in the annual Great Pudding Stir as the museum spreads a little festive cheer. The recipe used is taken from the indispensable kitchen bible, Beeton’s Book of Household Management, edited by Mrs Isabella Beeton between 1859 and 1861. The original recipe for ‘A Plain Christmas Pudding for Children’ contained: 1lb of flour, 1lb of breadcrumbs, ¾lb of stoned raisins, ¾lb of currants, ¾lb of suet, 3 or 4 eggs, milk, 2oz of candied peel, 1 teaspoonful of powdered allspice, ½ teaspoonful of salt. It took five hours to make and would feed nine or 10 children at an average cost of one shilling and ninepence. Nowadays they add 8oz of sugar to make it more palatable for our tastes. Visitors will get a chance to stir a huge bowl of the dry mix and make a Christmas wish, before sampling the final product heated on the coal-fired range. Admission is Adults £1.50 and Children £1 (annual ticket not valid for this event). From 12 to 23 December (closed Sundays), 10am to 4pm visitors will be able to celebrate the Christmas period with free admission to the museum. The museum’s period rooms will be transformed with traditional decorations. Seasonal refreshments will be available from the Garden Tea Room. For further information please contact the museum on 01202 882533 or visit www.priest-house.co.uk.